4Cabling EASTER CABLE SALE! Up to 40% OFF! Includes selected HDMI Cables, Ethernet Patch Leads, USB Cables and many more! Finding tenders in Australia can be time consuming. Here are three tips to help you find tenders faster. Finding tenders in Australia can be a frustrating process if you don’t take the right approach. If you’re not careful, you can find yourself spending all your time trying to find tenders to bid on without actually getting any closer to your business goals. While it’s easy enough to find tenders, it becomes harder to find tenders that are right for your business. If you follow these three tips, you’ll improve the efficiency of your tender search process. The first step is to identify the objective of your tender search. Obviously, you are looking to land work, but ask yourself these questions. What project length does your business want (or have the capacity) to take on? How much time can you invest in reviewing available tenders? Diving into the tender search process without a defined objective is a sure-fire way to flood your inbox with tender emails that will not get you closer to where you want to go. Now that you know your objective, it’s time to schedule some time in your calendar to work through the tender search process. As the old business maxim states, “what gets scheduled, gets done”. Decide how many hours per week you will commit towards the tender process and head over to your calendar and block out the time immediately. If you don’t block out some time in your calendar, then you will surely find yourself with no time to invest in the tender search process. Wouldn’t it be great if there was a place you could go to browse available tenders? Rather than spending countless hours sifting through thousands of websites looking for tenders, you could join a global marketplace where numerous tenders are waiting to be bid on. TelcoBuild is an example of one of these marketplaces helping you to not only find tenders in Australia but identifying opportunities all around the globe. We specialize in telecommunication tenders and other related services for the telecommunications industry. If joining a global marketplace sounds like it will help you leverage your time to allow you to find telecommunications tenders to bid on, then the next logical step is to join TelcoBuild. If you’re not ready to jump in with both feet, that’s perfectly fine. We offer a free plan so that you can see how a tender marketplace can benefit you. The free plan won’t let you bid on tenders, however, it allows you to trial the marketplace before deciding whether to upgrade so that you can bid on tenders. Click here to start your free trial now. 🎆FLASH SALE 🎆25% OFF 305m Cable Boxes – Purple LSZH Reels – 48HR ONLY! The new 4Cabling catalogue has landed! Get a FREE USB-C universal laptop charger with every online purchase over $350 at 4Cabling.com.au! 4Cabling's USB-C universal laptop charger can supply power to your devices via USB by utilising Qualcomm Quick Charge 3.0 smart charging technology. Safely and quickly charge up to 5 devices at once. Valued at $88 - YOU GET IT FREE when you spend $350 or more at 4cabling.com.au! So, how do I get my FREE USB-C Laptop Charger? Shop online at 4Cabling and spend $350 or more, and the USB-C Laptop Charger will be automatically added to your cart. Your FREE USB-C Laptop Charger will be sent with your order or will be ready for pick up at one of our Connect & Collect Centres. GET YOUR FREE GIFT NOW with every online purchase over $350! Why 4Cabling's NEW USB-C Laptop Charger? CAT6 & CAT6 ULTRA THIN PATCH CABLES – BULK PACKS IN STOCK NOW! 4Cabling's great range of blue Cat6 and Cat6 Ultra Thin patch leads are now available in bulk packs of 10 and 50 in lengths of 0.5m, 1m and 2m. Save on packaging and save on price. Get a discount of more than 5% when you purchase bulk packs of cables. Less packaging is better for the office - no more piles of useless plastic when you finish the job - and of course, better for the environment. Do your bit - BUY IN BULK! Don't get caught short at the next install - BUY IN BULK! All 4Cabling CAT6 Ethernet Patch Leads are certified and guaranteed for quality and performance. CAT6 & CAT6 Ultra Thins bulk packs are available in units of 10 and 50 in standard blue colour only. 20% OFF Portable TV Display Stands – Now @ 4Cabling! Need an option for when you can't mount the TV on the wall or from the ceiling? 4Cabling's NEW range of TV display stands are not only a terrific business tool; they also make a welcome addition to homes. You might not be able to wall mount a bracket, or you need the freedom a portable TV stand can offer. Perfect for classrooms, boardrooms and home theatres. Anywhere you require flexibility in your TV positioning. Built to last and made for dependability, 4Cabling's Portable TV Stands offer the solutions you need. Get the SKINNY on CAT6A THIN Patch Leads – Now @ 4Cabling! Thinner cables in your rack means more open space. More open space means better airflow and equipment cooling. Optimal temperature equals optimal performance. Maximise the available space in your existing cable management. Make space, reduce mess and clutter, and prolong the life of your precious equipment. With 4Cabling's CAT6A THIN Ethernet Patch Leads it is so easy to optimise your rack layout. 4Cabling's NEW CAT6A patch leads are sure to become your go-to when it comes to ethernet cables. With a diameter of only 4.5mm, the tiny 30AWG cable will save you BIG time with almost 50% more available rack space when compared to traditional CAT6A patch leads. Choose from 4 colours and seven lengths - from 0.25m to 5m. Introducing the NEW 4Cabling Portable, Foldable, Laptop Workstations! PORTABLE, FOLDABLE LAPTOP WORKSTATIONS 20% OFF! Take your workstation where you need it. 4Cabling's Foldable Laptop Workstation folds down flat and has a convenient pull handle as well as wheels for travel. Store it away, chuck it in the boot. The foot pedal allows you to quickly and easily raise the platform to the required height. Make the change for your health today. FREE SHIPPING AUSTRALIA wide only on orders over $50. Sale runs from 19.02.19 to 08.03.19 or while stocks last. Say goodbye to dead spots in your home or office. Say hello to revolutionary Wi-Fi! We're pleased to announce that the Mercku M2 Wi-Fi MESH System is now available in Australia for the first time! The SAA approved M2 Wi-Fi MESH System gives you the speed, connectivity and control that your home / office deserves. The M2 MESH Wi-Fi Router System powerful enough to support up to 60 devices, with minimal degradation to the Wi-Fi experience, making buffering a thing of the past. The system can be tailored to your home or office’s design, and can easily be expanded as your needs grow. NETSCOUT delivers the most accurate wireless network tools for designing, deploying and optimising performance. From mobile phones to ecommerce websites, users demand a fast, seamless and secure digital experience across their connected world. It's your job to deliver those digital services flawlessly. And it's 4Cabling's job to provide you with the solution: Netscout. NETSCOUT is a leading provider of business assurance - a powerful combination of service assurance, cybersecurity and business intelligence solutions. Netscout offers handheld network test solutions to help frontline technicians validate network connectivity in less than 10 seconds. Their solutions streamline productivity with simple interfaces for technicians of varying skill level. 💥 It’s a BACK TO WORK SALE! Up to 60% OFF!!! 10 Days ONLY! For the next 10 days get up to 60% off selected stock including: Power Boards, USB Cables, Outdoor Racks and TV Brackets! Shake off the holiday-time buzz with these SUPER SAVINGS! CHECK OUT THE SAVINGS! SHOP NOW! Sale runs from 22/01/2019 until 31/01/2019 or while stocks last. 🎾 NEW TV Bracket Range 15% OFF SALE - HURRY! Get the best viewing angle in the house this tennis season. Take advantage with an extra 15% off when you purchase online today! You will love the deal 4Cabling is serving up on our NEW range of TV Brackets - Wall Mount, Ceiling Count, Full-motion and Tilt Action rackets galore. It's match point at 4Cabling! Hurry - this ACE deal ends soon! 35% off Outdoor Server Racks at 4Cabling! It's a NEW YEAR and 4Cabling are celebrating with a SALE! 35% OFF OUTDOOR SERVER RACKS! Sale includes Wall Mount and Freestanding Racks, IP65 and IP45 rated as well as Floor Mounted Plinths. Hurry - this deal won't last! 4Cabling are pleased to announce that they have entered an exclusive distribution partnership with Mercku that will help rid spotty Wi-Fi from Australian homes and businesses through high-speed mesh networks. The partnership will bring Mercku’s M2 Wi-Fi System to the Australian IT hardware provider, marking its rise from Indiegogo campaign to global expansion. Mercku's M2 Wi-Fi System is the world's most powerful wi-fi system. Simple to install it offers an award-winning, flexible, patented MESH solution that is both affordable and secure. With the National Broadcast Network (NBN) rolling out throughout Australia, customers are experiencing higher connection speeds and are consuming more content than ever before using wireless devices and networks. By partnering with Mercku, 4Cabling is working to meet its customers’ changing needs and position itself as a key player in the Internet of Things and smart home sector. 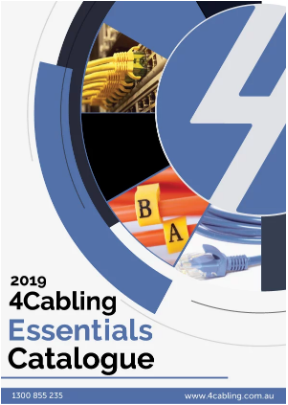 4Cabling, with its Australia-wide omnichannel business model and strong customer base, is ideally positioned to meet the needs of this sector and deliver customers a strong and stable wireless connection in their home and office. Mercku’s M2 Wi-Fi System can cover up to 5,000 square feet, reach around walls, and support multiple 8K streaming devices throughout a house. With its successful optimization of advanced wireless system noise reduction theory, patented WHEMS antenna, and high-performing and specifically designed transceiver, the M2 offers a truly decentralized mesh network solution that’s 20 percent faster than other industry-leading products. The Mercku M2 Wi-Fi System will be available for sale in Australia in January 2019. For more information on Mercku, please visit mercku.tech. To add to 4Cabling's full range of high-quality premium data centre server racks we have now included 27RU 1000mm Deep Premium Racks. Our premium range server racks have several features that aren't found on basic cabinets and racks including integrated cable management, lockable mesh doors, earthing wires for grounding, cable trays, bi-fold mesh rear doors, removable cable glands on the top and at the bottom of the rack, sliding shelves and fan kits. Why use 4CABLING Premium Racks? Data centres and equipment rooms require only the highest quality or your servers and networking equipment are in danger of overheating or damage from the elements and poor installation. As a leading Australian server rack provider, 4Cabling ensures you only receive the best in premium equipment. All premium server racks come with a 3-Year Warranty and FREE shipping. If you’ve ever wished for a better way of identifying the mess of cords in your server or office environment, then these CABLE LABELS are just what you need! Stick’nGo Cable Labels come in a range of 4 stylish colours, so each department or family member can select their own colour for instant cable & device identification. This is what cable management dreams are made of. Stick’nGo Cable Labels can manage and identify voice & data cables, leads & wires for your home, office or network. These flexible hi-tech labels wrap around & lock-on to cables in seconds. You can even record identification details on the back of the labels - super useful when travelling! 4Cabling’s NEW INSTA CRIMP TOOL! 4Cabling’s Insta Crimp Tool is a MUST for every tool belt. This versatile tool can cut, strip and crimp ethernet cables with precision and reliability. Compatible with 4Cabling’s own Cat 5e and Cat 6 Insta Crimp Plugs, you know that the job will be done right. Every time. With the warmer months ahead, please take extra care before putting your hands in Pits and Manholes. We want you to go home safely to your family. New Co-Location Server Racks at 4Cabling! 4Cabling’s Co-location Server Racks allow two different users 21RU of space within the 42RU enclosure. Each compartment includes two independent sets of 19″ rackmountable rails and a 12-way vertical PDU, along with split arc mesh front and rear access doors with digital locks. The Co-location Server Rack allows two compartments to be configured separately without sacrificing security. This set up allows multiple customers to store their voice, data, networking and power equipment in the same cabinet. The perfect set up for shared work spaces or managed service providers. 4Cabling opens a new store in Melbourne! To celebrate the opening of the new 4Cabling Hoppers Crossing store, drop into ANY 4Cabling store and pick up a FREE COFFEE with your FREE 4Cabling Java Vacuum cup*! Every purchase over $100 GST inc gets one! Enjoy FREE refills anytime you come back into one of our three 4Cabling stores - Hoppers Crossing, Murarrie or Alexandria - and make a purchase. 4Cabling are pleased to announce the opening of our new Melbourne store in Hoppers Crossing. 4Cabling currently has stores in Sydney (Alexandria) and Brisbane (Murarrie), offering trade and home customers with expert advice and the ability to order online and pick up in store free of charge with our Connect & Collect service at 4cabling.com.au. We also offer free delivery with orders over $50 at our website nationwide. “The expansion of our national footprint with the opening of our Melbourne store will help us better meet the specific needs of our Victorian clients by providing locally available, quality products at a competitive price, backed by our extensive industry expertise and customer support.” notes Chitrang. New KVM products join the range at 4Cabling! 4Cabling are pleased to announce the introduction of the additions to our KVM range. The range is of very high quality, and KVM cables are included with each product in the new range to ensure that they’re ready to use straight away. “The expansion of our KVM range reflects our commitment to meeting the specific needs of our clients by providing quality products at a competitive price, backed by our extensive industry expertise and customer support.” notes Chitrang. Telco Build Well Done 4Cabling! Exciting times ahead with your expansion into the KVM product range. Warren & Brown Technologies (WBT) is pleased to announce its corporate partnership with A-League team Melbourne Victory FC. WBT has signed as one of Melbourne Victory FC’s corporate partners for the upcoming 2018/19 A-League season, which will see it feature at match day functions, networking events and provide other match day and non-match day brand exposure. Exciting news from Vocus Group! Vocus have put the Australia Singapore Cable (ASC) into early service after notification of an outage on the Sea-Me-We3 submarine cable that currently provides capacity between Perth and Singapore. An amazing effort from all those involved at Vocus. We are very excited to welcome you all, our subscribers and members, to our new page called "Comms Insights". On this page, we welcome all types of information, images, videos, etc that are Telecommunication related only. We're eager to hear about your current projects, new hires within your organisation, new plant or equipment, new products, exciting wins, and what your staff are working on out of hours or over the weekends for your clients, etc. We look forward to seeing some really exciting insights uploaded.